Tomorrow it starts. 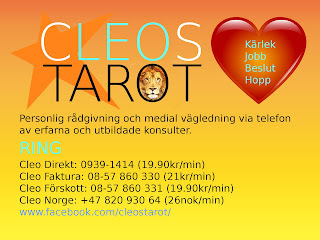 I have taken over a tarot line and if you live in Sweden or Norway you are welcome to call on any of the listed numbers. I will be there from noon (CET) to midnight along with some very experienced psychics, mediums and personal advisors. I am working on finding a good solution to receive international calls and will let you know when the international services are available. Until then, travel to Scandinavia and call from there. If you already are in Sweden or Norway and want to call, but don't know the native language, English works fine too. Hej svenska och norska läsare. 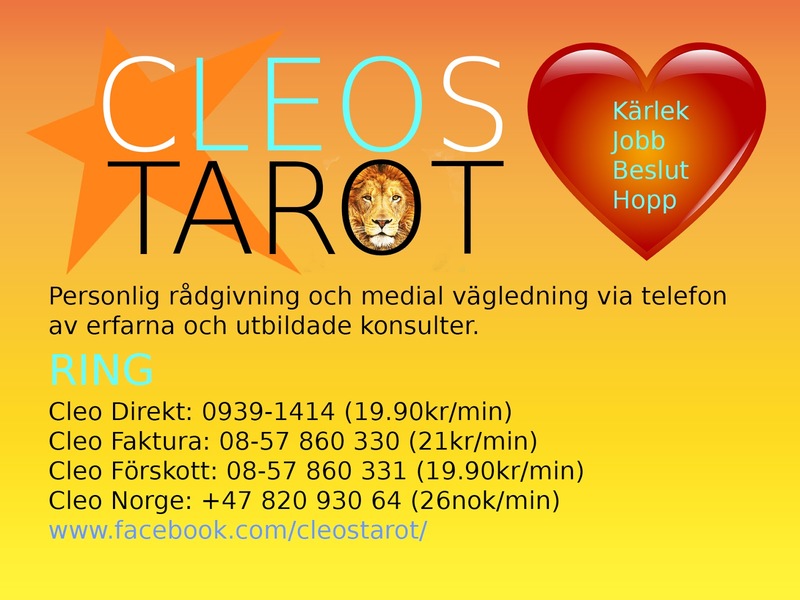 Från och med i morgon kan ni ringa mig och andra konsulter på Cleos Tarot för en personlig rådgivning och medial vägledning.